It gives me huge pleasure to be able to tell you about Balderton’s latest investment, leading the $10M Series A into Healx.io. I have been aware of the Healx team and their work for over two years now and this is a classic case of investing in lines and not dots. I first heard about the team through my wife (and hidden co-founder) — a geneticist with expertise in rare disease who was blown away by the passion of the company’s Co-Founder and CEO, Tim Guilliams. 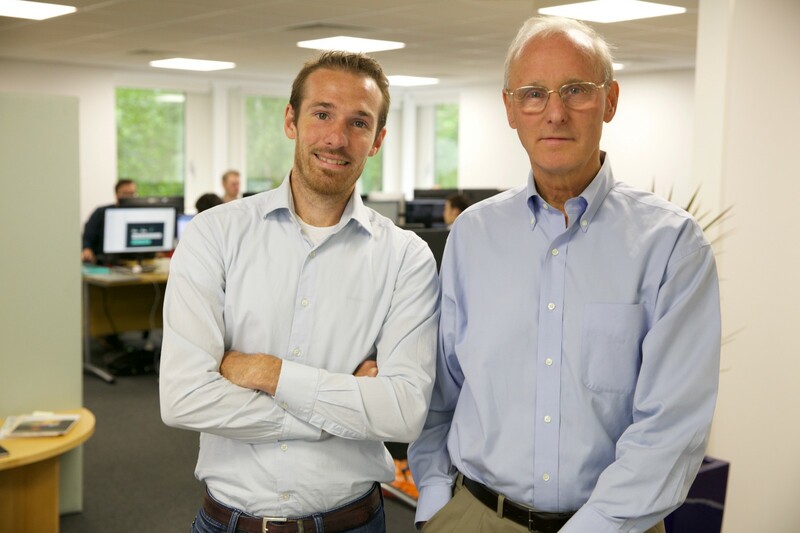 Jonathan Milner and Hermann Hauser, two of the smartest investors in the Cambridge ecosystem (not an easy accolade!) then led the seed round and I took further note. My good friend the indefatigable Hanadi Jabado, from the Judge Business School told me that she thought Tim was one of the biggest thinkers she had had the pleasure to come across. And then, last but not least, another friend, the polymath inventor Ronjon Nag also invested and told me it was the company most likely to change the world in his portfolio. With signals like these, I contacted Tim and his Co-Founder and CSO, David Brown (the inventor of Viagra, no less) and they were kind enough to put up with many hours of my rudimentary questions as I dug deeper and deeper into the problem that was driving their passion and the solution they had built. At the heart of Healx is the challenge of rare disease. 7,000 identified rare diseases affect 350 million people worldwide. That’s one in 20 of all people. Walk into a decent-sized restaurant or bar and there are probably five or six people in there who are affected. Yet only 5% of those rare diseases have any kind of approved treatment — that’s just one quarter of one of those five people in the bar you were just in. We all know drugs are big business so how could the smart, commercial world of big pharma have missed this huge opportunity? One word answer — process. Today, the pharmaceutical industry’s process involves thousands of scientists and tens of billions of dollars being ploughed into lengthy R&D projects that are then pruned and selected from to go through pre-clinical testing, followed by Phases 1 through 3 of clinical testing before finally being registered. Current success rates are around 50 to 1 — that is 49 of the $100M R&D projects that are started are an abject failure. The huge failure rates mean that when a pharmaceutical company has a hit, that hit has to offset a huge mountain of losses. This has evolved into the obsessive chasing of so-called blockbuster drugs that treat highly common conditions that can be sold to massive markets of patients. But that is not the case for rare disease. While highly common in aggregate, each disease represents a relatively small opportunity and so each ‘hit’ is inherently limited in scale and, with all that failure before each hit, it just won’t be big enough to cover all of the costs. And, as a result, big pharma often has no choice but to ignore rare disease. Healx has a two part solution to this conundrum — technology and strategy. Strategy first. Healx Co-Founder David Brown was a co-inventor of Viagra. Viagra is a fascinating blockbuster drug because it started as a project to lower blood pressure that was pivoted to focus on angina. After eight years (and millions of dollars) of hard slog, the final results of trials were too weak for Pfizer to take forward as a drug for angina. The company gave Dave just three months to prove its effectiveness. And then, entirely unexpectedly, male volunteers who had been given the drug started reporting penile erections. Realizing that they could be onto something, Dave’s team pivoted and re-focused the drug around male impotence. The rest is multi-billion dollar pharmaceutical history. Fascinatingly, this is not the end of the story. The underlying chemistry behind Viagra is already also being used for pulmonary arterial hypertension. And it shows potential in a variety of other conditions, from air sickness to obesity. Dave developed one key observation from this experience — once you have a drug that works, that you know is effective and safe in humans, the shortest distance to finding your next drug is often asking if your current drug can be used for other conditions. While Healx’s technology can be used to generate entirely new suggestions for chemical compounds that may help rare diseases, the team has therefore focused its strategy on so-called drug re-purposing (DRP): look at the universe of existing drugs that are known to be effective and safe and ask if there is any data that suggests they may help alleviate symptoms other than the ones they were originally designed to target. This allows the company to focus its firepower on a target-rich environment and, when it does find candidate drugs, enjoy a significantly shorter, more efficient clinical trial process. But mining the colossal universe of existing drugs, patents, scientific literature, patient data, multi-omic data and more in trying to find the obscure correlations that may suggest a connection is a vast challenge. Traditional pharma would have to throw millions of dollars and hundreds of scientists at the problem, re-creating the economic challenge of rare disease drug discovery — too much expense for a small market to offset. Healx have solved this through the use of machine learning. The company has spent the last two years building Healnet, the world’s most comprehensive rare disease database that incorporates all of that data, indexing, normalizing and linking all of it using a variety of cutting-edge Machine Learning algorithms developed at Cambridge University. The system allows for massively parallel, ultra-fast mining of this data, discovering potential connections and drug targets in weeks and months rather than years and decades. To repeat once more the cliché of venture capital, a great market and an amazing product are fantastic, but nothing without the right team. One of the remarkable things about Healx is the incredible team that they have been able to put together. The C-level team (Tim, Dave and rounded out by Ian Roberts, CTO and Kate Hilyard, COO) all have PhDs. So do the advisory board. So do the entire board (well, except for me). 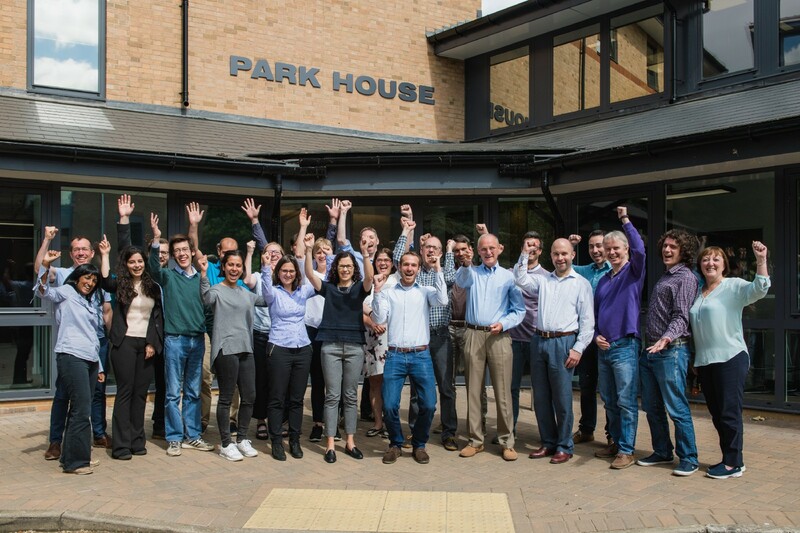 Being based in Cambridge has allowed the company to pick and choose from some of the world’s leading experts in machine learning, computational biology and chemistry and pharmacology — there is likely nowhere else on the planet that has a higher concentration of the right kind of people and the company has exploited this to the full so far and expects to do so going forward too. Healnet has already been used on multiple projects and, most recently, has led to clinical trials for a drug for Fragile X syndrome. Going forward the company will invest the Series A in building out more of that team and adding yet more data, public and exclusive, to Healnet as it works with yet more patient groups and pharmaceutical companies to further research into rare disease. One of the most fascinating things about Healx’s future, however, is the direction that it is taking drug design. Highly efficient, computationally driven drug discovery holds the promise to reach the holy grail of modern medicine — personalized treatment. Today, most of the pharmaceutical industry focuses on what is the same about most of us; in the future, it may be able to focus equally on what is different about each of us and that is a world-changing proposition. While the purpose of being an investor is investing in valuable companies, there is nothing more valuable than finding a company with great purpose. Healx is a rare (!) case where these two conditions have come perfectly together and we at Balderton look forward to playing a small part in the journey ahead.